He wanted to watch a horror film to my dismay. In all honesty, lagi nyang pinu-push ang horror everytime we’re at the cinema na sya naman kinakabadtrip ko! Tigas ng skull eh! Sabi ng I don’t have the heart for horror films. 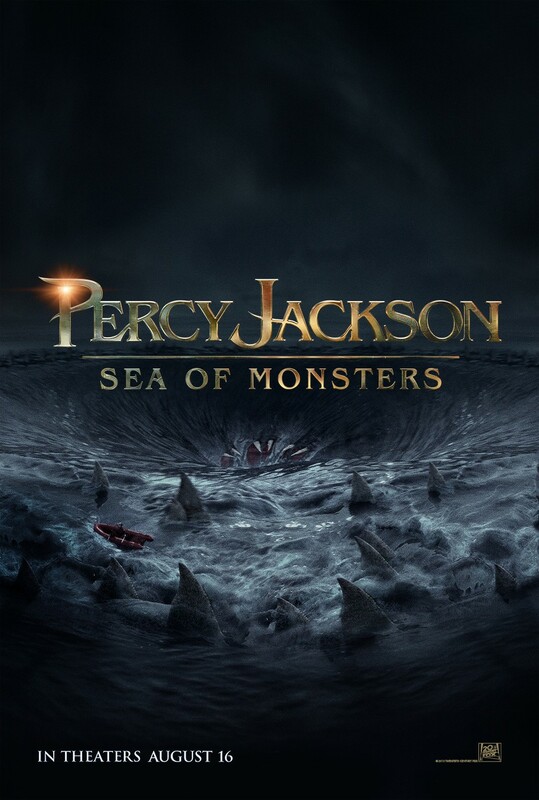 Anyway, I dragged him to Percy Jackson and The Sea of Monsters just because I wanna watch the film. I saw the first installment and actually liked it so I’m looking forward for the 2nd installment. So how’s the movie you say? It was fun. I love greek mythology so the mere mention of Zeus, Hermes, Odysseus, Hades and Poseidon is enough to catch my attention. Like the first film, the effects are great and the storyline is just as captivating. I love Logan Lerman. He’s a sweetheart and his portrayal of Percy Jackson is just superb. I love the action scenes and I think this movie is a great teaser for the next film. Now, I wanna know what happens now that Thalia, daughter of Zeus is alive. Nyahahaha! Oh! And bring me those Percy Jackson books please. I wanna read it!! !